An analysis of company formations carried out by The Company Warehouse in the last week has seen a rush in property based company formations – up 75% compared to this time last year. Tracking data over the last three days, The Company Warehouse has seen a growing trend in the creation of property company formations in comparison to January 2015. 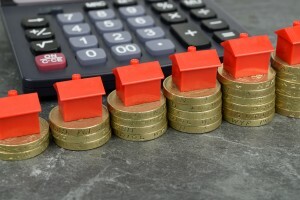 This appears to be a direct result of the latest buy to let tax changes, as potential investors look to avoid higher stamp duty payments as well as the cut in tax relief. Why are more Property Companies being formed? The growing popularity of property related company formations is believed to be directly related to the new changes to tax and stamp duty that were announced in 2015. From April 1st, buy to let investors will see an increase in both tax and stamp duty payments. Under the new plans, suggested in George Osborne’s Spending Review and Autumn Statement in November last year, those wishing to purchase a buy to let property will see an additional three-percent stamp duty surcharge as well as a cut to tax relief. Since the changes were announced in November there has been a property rush as buy to let investors scurry to snap up the homes before the added stamp duty payments are bought in. It seems that property company formations are increasing overall as landlords take advantage of this loophole. This new type of company formation would see rental income now considered as business income and, in turn, benefit from lower tax rates. At the moment, people that are buying to let can claim tax relief on their mortgage interest payments at their marginal rate of tax, which currently stands at 40% for higher rate taxpayers. The new tax rates will begin to be phased in from April 2017 which will see this rate reduced from 40% to a flat rate of 20%. These changes have not been welcomed by buy to let investors, who will see £3,000 added in stamp duty tax to a £100,000 home that would usually be stamp duty free, or to current owners who will see their profits fall dramatically due to the much lower tax relief. It seems that many landlords are now taking advantage of limited company structures to avoid the changes to tax relief that are being phased in from next year. Buying a property as a company, as opposed to as an individual, means that interest which is classed as a business expense can still be deducted. Corporation Tax would still apply to these newly formed companies but at just 20% instead of the income tax rate of 40-45% (in the higher and additional rate tiers). Companies that have 15 properties or more may also be able to avoid the stamp duty increase, although it is expected that the rules on this point may change soon too. What is the Benefit of a Buy to Let Company? As it stands, purchasing a buy to let property seems to be more beneficial cost wise as a company than as an individual, especially as corporation tax is due to be reduced to 18% by 2020. It certainly seems that a lot of buy to let property owners and potential investors are taking advantage of this loophole while it lasts, as we can see in our 75% rise in property company formations compared to this time last year. However, purchasing and running a buy to let property can be a lot of added paperwork, some of which is very different in format to those which current property owners are used to. The Company Warehouse has their Best Company Formation Package for buy to let and other property company owners.